The heart of any good bike shop, Ken Ellerker Cycles prides itself on the quality of work, enabling you, the customer, to get the best from your cycle. 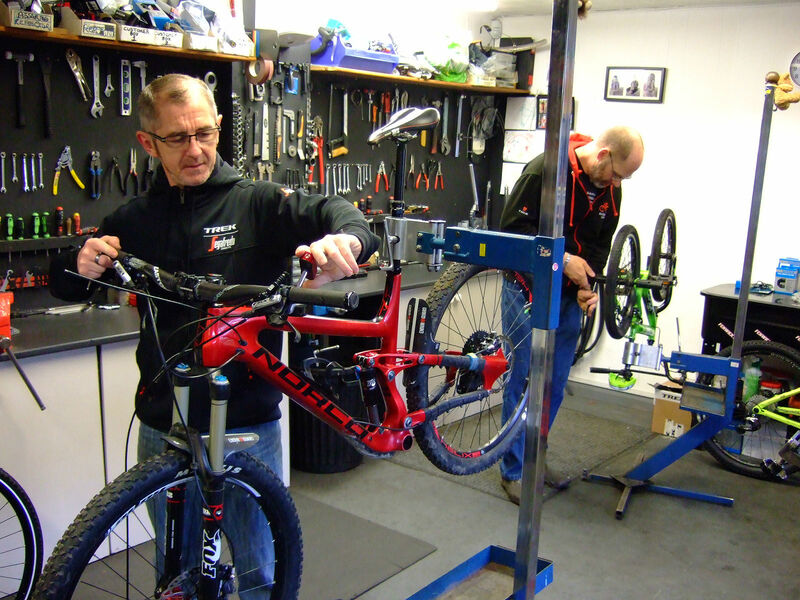 No matter what the type of bike, or the scale of job, our highly qualified and experienced mechanics will always endeavour to offer a reliable, professional service using quality spares and accessories. We repair and service all bike brands as well as our own, Trek, Orbea, Electra and Orro. We aim to have work completed within 48 hours, subject to availability of parts. All other work is priced on the time it takes, to ensure that you are charged fairly rather than an average set price. On this basis we endeavour to give you as accurate an estimate as is possible to give you an idea of the cost of repair when the cycle is presented to us. If, when we carry out the repair, we find any additional work is required we will contact you before any further work is done. Electrically assisted bikes, e-bikes, are a great way for everyone to enjoy cycling. Our mechanics are fully trained and have the diagnostic tools to ensure your Bosch, ebikemotion or Shimano Steps equipped e-bike is working brilliantly. 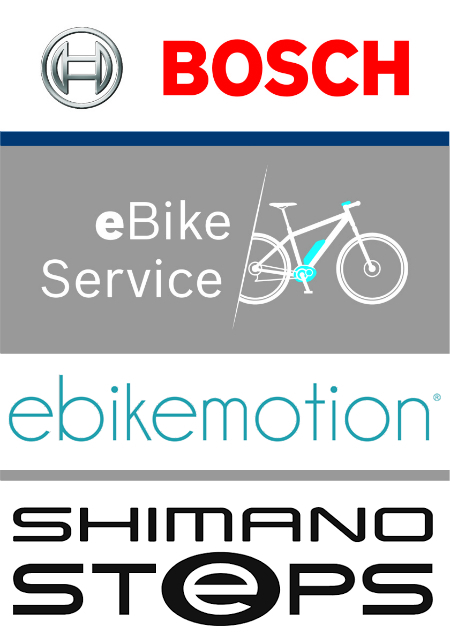 If you're interested in buying an e-bike with one of these world-class systems, or if your current e-bike needs a repair or service, you're in good hands at Ken Ellerker Cycles. We have earned a great reputation over the years for wheel building. A pair of bespoke wheels can make your ride very special. Using DT and Sapim spokes, we can build wheels for road or off road use, and in a variety of patterns to best suit your requirements. We can also repair many wheel sets such as Mavic and Bontrager provided, of course, that spares are available. We can also take on renovation work for framesets. 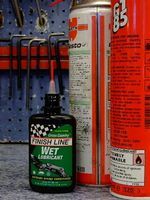 These are sent to professional frame builders or sprayers. Minor alterations are possible depending on the state of the frame and/or forks. We have a very well equipped workshop that enables us to prepare your frameset to a very high standard. 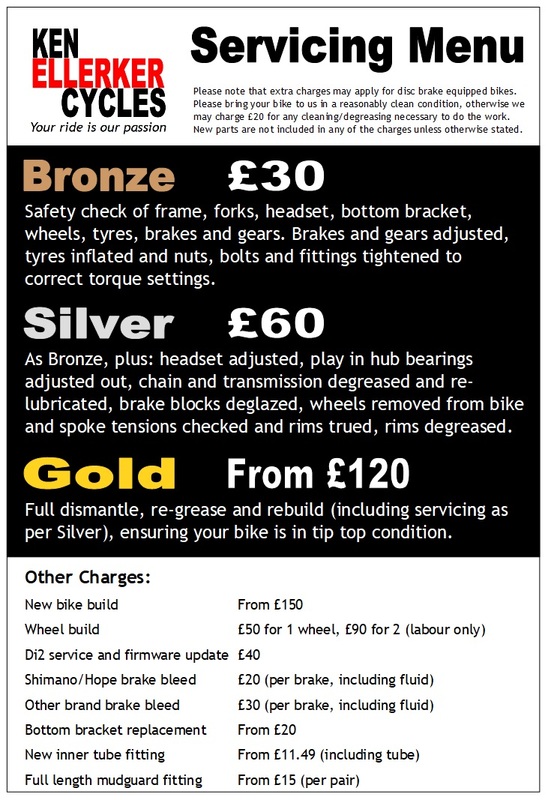 Regarding the servicing of suspension forks and shocks, these are sent to the authorised UK service centre. In our experience these dedicated teams, with all the correct parts to hand, offer a more comprehensive and faster service, even allowing for the time taken for carriage. On a final note, we do not drop our standards to bodge a repair. If a bike or component is irreparable, we will tell you this and suggest it is replaced. This is because your safety on the roads or trail depends on a quality repair, and we do not want to make compromises.